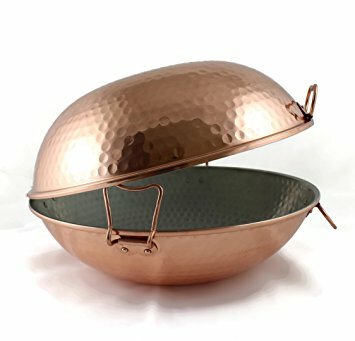 The copper cataplana helps to maintain moisture and flavours while cooking. Acting like a pressure cooker, flavours and aromas are intensified. Our Cataplanas made in Portugal. © 2019 Casa Iberica. All Rights Reserved.